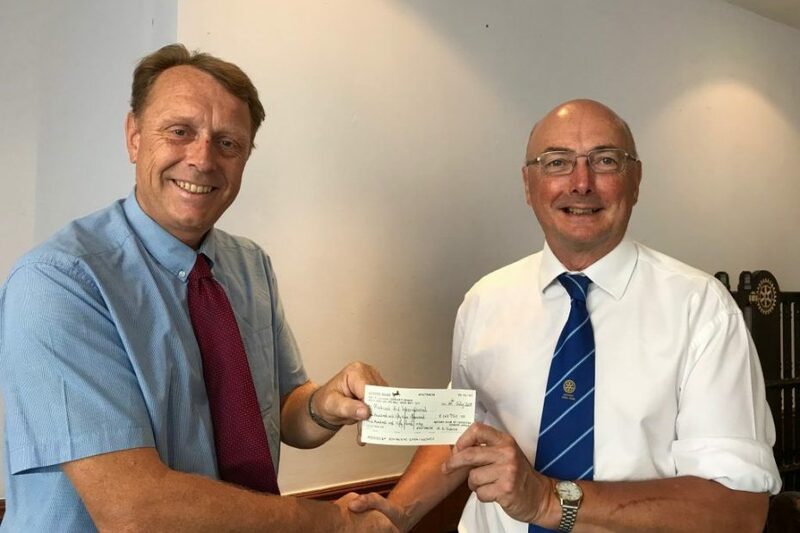 Past President Richard Power giving a cheque to Tim Beacon of Medical Aid International for £155,950 for the operating theatre equipment for our project in Gondar, Ethiopia. The equipment will be loaded into a container later this month for shipping to Ethiopia ready for installation in October. Rotarians Richard Power, John Saunders and Stuart Almond together with LRI surgeon Laurence Wicks visited the premises of Medical Aid International near Bedford to help pack the surgical equipment destined for Gondar, Ethiopia. The £160,000 worth of orthopaedic surgical equipment will shortly be shipped to arrive in Addis Ababa in early October and then on to Gondar by road ready for installation in the new operating theatre in early November, the unit should be ready for orthopaedic surgery in early 2019. Both Richard Power and Laurence Wicks will help with the installation of the equipment and the training of the surgeons and staff in Gondar.